Voss Boreta, who passed away in 2013, was a longtime resident of Las Vegas who revolutionized the golf retail business. From a small shop in Las Vegas he opened in the seventies, where he utilized an ad in Golf Digest to attract mail-order buyers from across the country, he created the Las Vegas Golf and Tennis retail empire, which included 70+ locations. Golf club company executives continually sought out Voss for advice and input, and his golden retail touch. Voss also created what is now the TaylorMade Golf Experience on the Las Vegas Strip, and was a benefactor to aspiring Tour professionals including Edward Fryatt, a 2009 inductee into the Las Vegas Golf Hall of Fame. 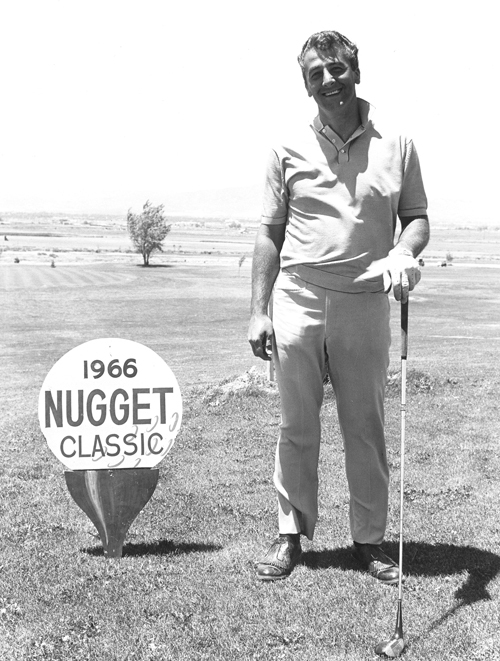 Voss was the boss of Las Vegas golf.